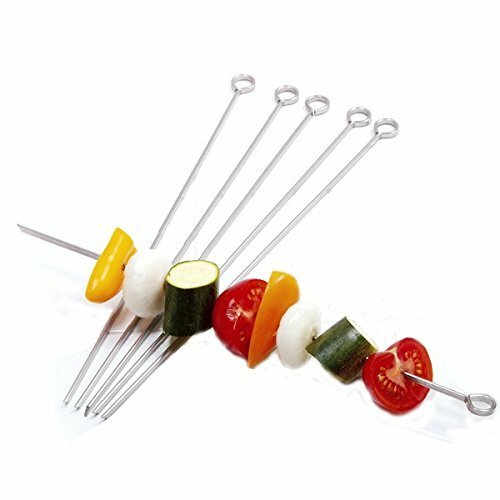 For shishitos on the grill, I keep things simple, skewering them with two skewers in order to make them easier to flip. They take only a couple of minutes on each side to brown up and tenderize. Skewering the peppers together makes them easier to grill. Thread shishito peppers onto sets of 2 skewers, keeping skewers about 1 inch apart to make peppers easier to flip. Place peppers directly over hot side of grill and grill until charred on first side, about 2 minutes. Flip peppers and char on second side, about 2 minutes longer. Transfer to a serving platter and season with salt and pepper. Brush with teriyaki sauce and serve. I strongly suggest making your own teriyaki sauce instead of using store-bought; it will taste much better. For an even more flavorful sauce, try adding a few smashed garlic cloves, slices of ginger, and roughly chopped scallions to the saucepan as the sauce reduces.